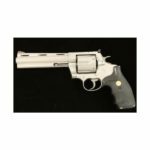 A two-day summer firearms and antiques auction will take place in Dewey-Humboldt, Arizona, on July 13 and 14. 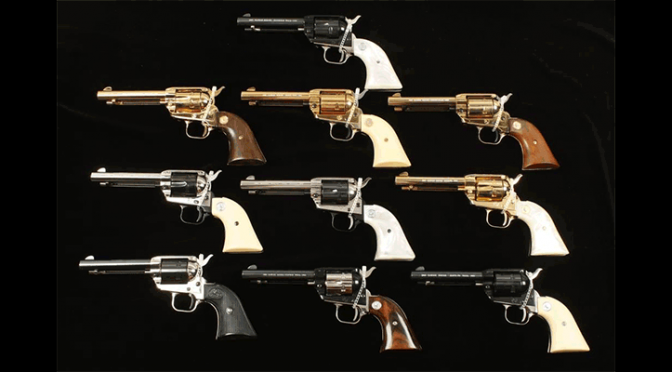 The majority of lots are vintage firearms, such as a Furr Arms .22 short gatling gun, a Colt 38 Super in its box, and a Harper's Ferry 1819 rifle. 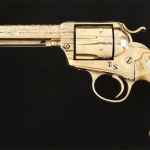 This collection of antique guns is supplemented with a number of notable Native American jewelry pieces and various collectibles and memorabilia left from Arizona estates. 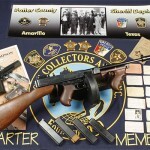 Collectors need not travel to Arizona to bid on any of the exciting lots that are to be included in this auction. Simply log onto iCollector.com to browse the entire catalog and place absentee bids on your favorites. A miniature Furr Arms gatling gun built to one-third scale would provide a stunning centerpiece to any vintage firearms collection (lot #182). Made of brass, steel and wood, this piece is in excellent condition. Mounted on a two-wheeled carriage, this antique piece was constructed by Karl J. Furr and comes with an instruction manual. 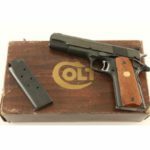 A semiautomatic handgun built in 1968, the Colt 38 Super is a spectacular firearm (lot #117). The 5-inch blued steel barrel is accented by brown checkered plastic grips. The most unique thing about this particular firearm is that it comes with its original box for storage. This extremely well-preserved flintlock rifle is a wonder to behold (lot #186). Retaining more than 95 percent of its original wood finish, the Harper's Ferry 1819 is sure to excite rifle collectors. The 32.625-inch barrel and full stock each have a beautiful dark patina, adding to the firearm's beauty and appeal. The town of Harpers Ferry, located at the confluence of the Shenandoah and Potomac Rivers in West Virginia, was the site of an important slave rebellion in 1859. John Brown lead a raid on the town's armory that was responsible for producing rifles such as this. Many beautiful lots of Native American art and jewelry, along with antiques and collectibles, will also be available at this auction. A Navajo memory aid (lot #325a), a signed Gerry Metz painting (lot #199a) and a custom turquoise belt (lot #729) are some standout pieces from this part of the auction. Be sure to check out everything that is available on iCollector.com.